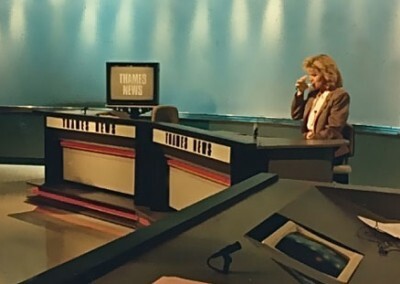 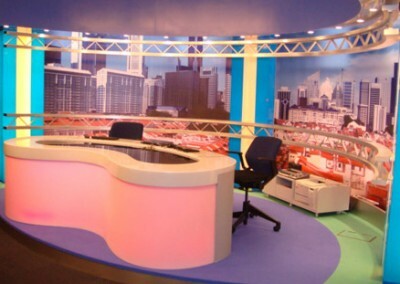 eye-catching design have designed and constructed news and current affairs sets for many production companies and broadcasters across a whole range of channels both locally and internationally. 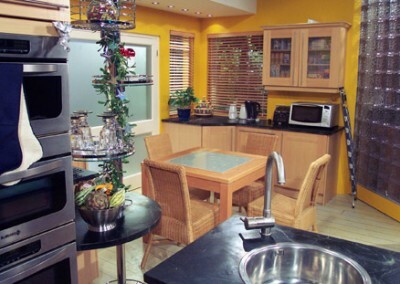 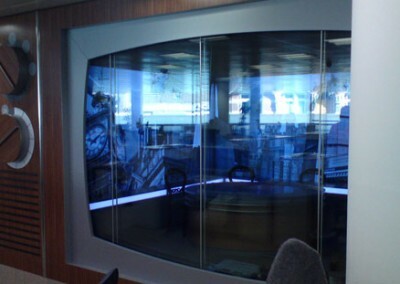 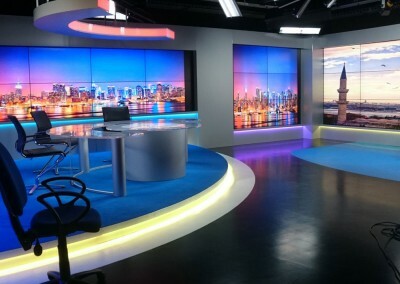 Design requirement has ranged from compact studio install to major international broadcaster HQ studios and locations in the uk and around the world. 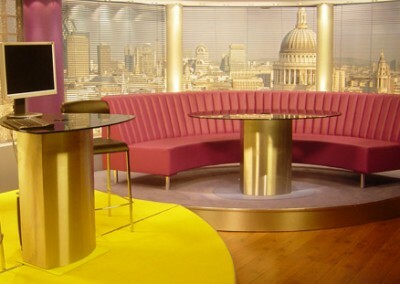 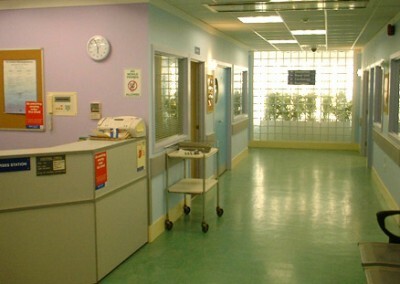 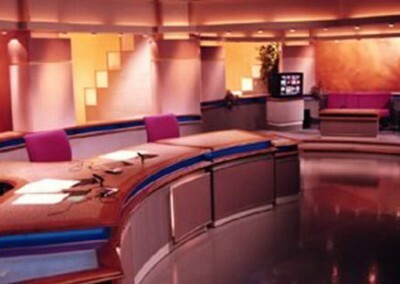 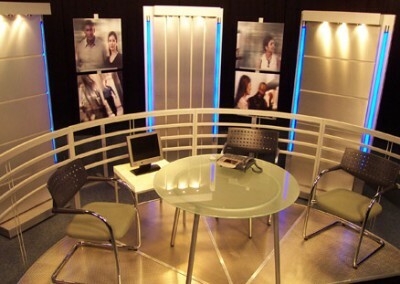 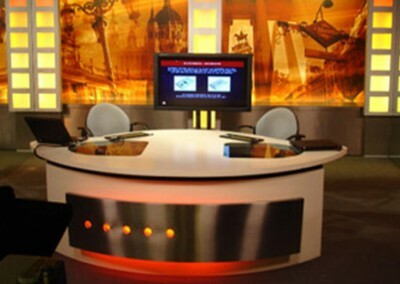 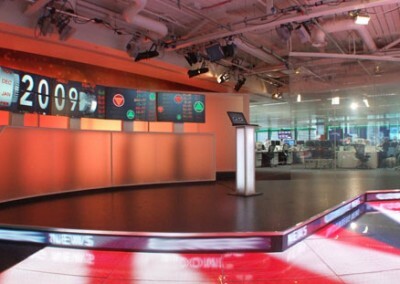 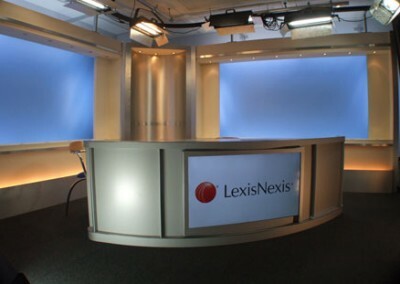 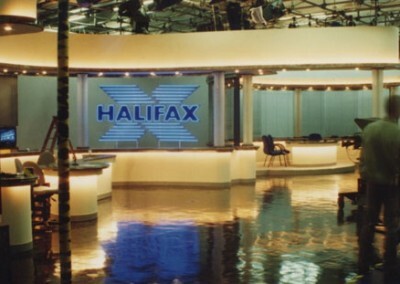 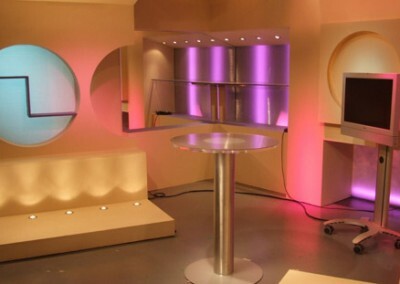 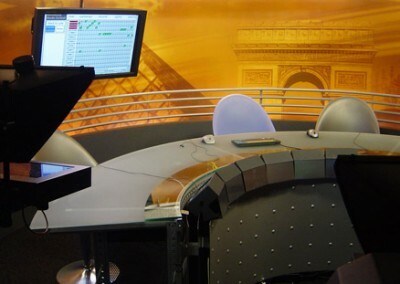 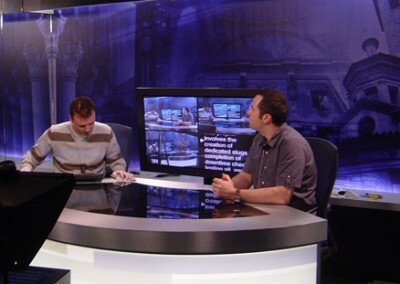 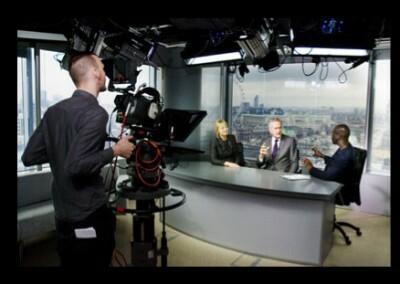 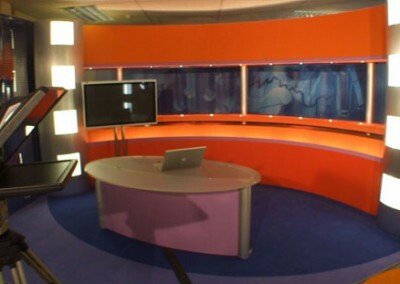 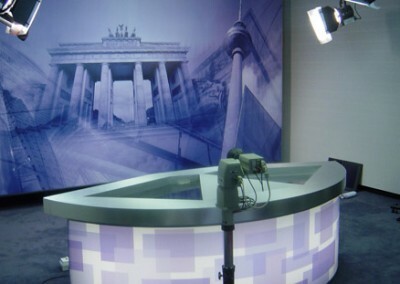 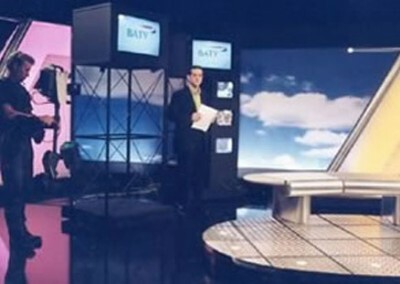 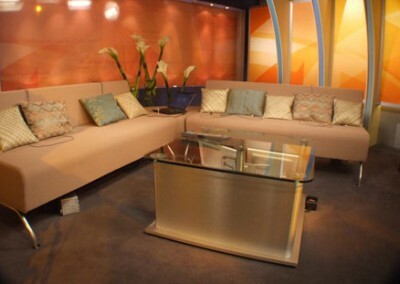 We can design, construct and install a whole variety of be-spoke sets with news desk presentation and interview arrangements that are used in studios, offices or locations. 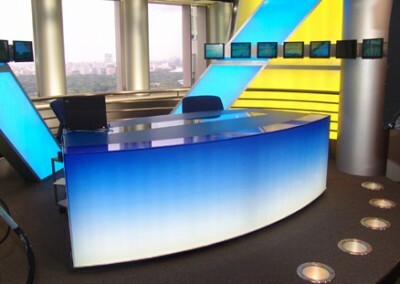 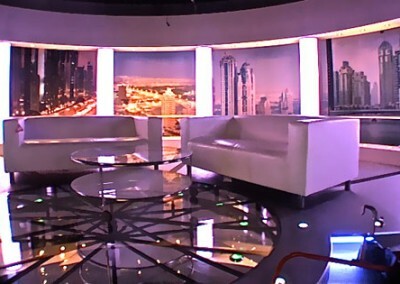 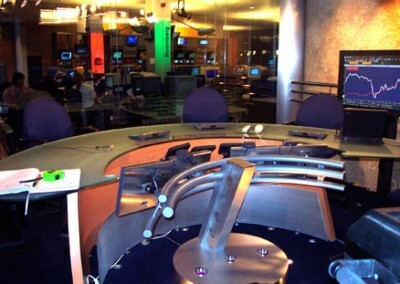 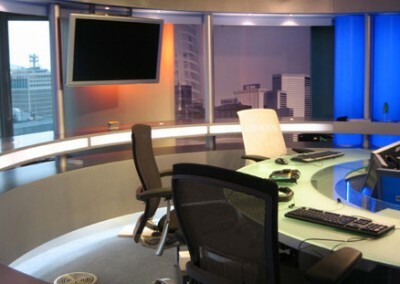 We work closely with lighting and technical supervisors that will bring cutting edge design finishes and functionality to the news production environment.